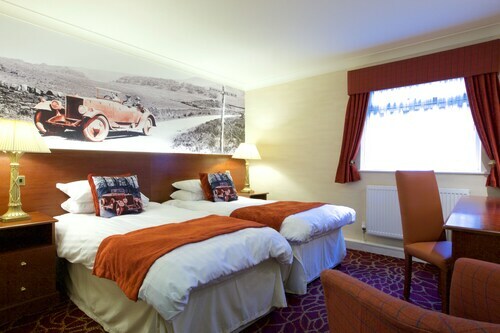 Located in the heart of Leyland, this eco-friendly hotel is within 2 mi (3 km) of British Commercial Vehicle Museum, Worden Park, and Cuerden Valley Park. Turbary Woods Owl and Bird of Prey Sanctuary and Monkey Magic are also within 6 mi (10 km). Leyland Station is 14 minutes by foot. 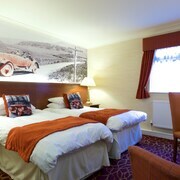 Situated in Leyland, this hotel is 1 mi (1.6 km) from British Commercial Vehicle Museum and within 3 mi (5 km) of Cuerden Valley Park and Worden Park. Turbary Woods Owl and Bird of Prey Sanctuary is 2.5 mi (4 km) away. Leyland Station is 12 minutes by foot and Lostock Hall Station is 28 minutes. Situated in Leyland, this motel is within 3 mi (5 km) of British Commercial Vehicle Museum, Worden Park, and Cuerden Valley Park. Astley Hall is 2.9 mi (4.7 km) away. Buckshaw Parkway Station is 27 minutes by foot. Situated in Leyland, this cottage is within 3 mi (5 km) of British Commercial Vehicle Museum, Worden Park, and Turbary Woods Owl and Bird of Prey Sanctuary. Cuerden Valley Park and Monkey Magic are also within 6 mi (10 km). How Much is a Hotel Room in Leyland? Hotels in Leyland start at $63 per night. Prices and availability subject to change. Additional terms may apply. Planning a visit to Lancashire and keen to find somewhere to rest and relax in Leyland? Travelocity can help you. Travelocity at present features 10 memorable accommodations only a short 6-mile (10-kilometer) radius of Leyland. There are only a handful of accommodation options situated within walking distance of the downtown precinct of Leyland. The Langs Hall is an ideal option because it's only 2 miles (3 kilometers) away. 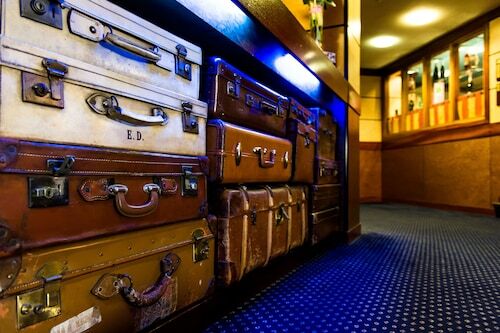 You could check out the Scarisbrick Hotel along with the Ramada Plaza Southport. 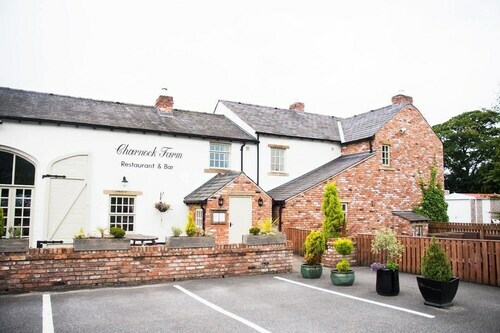 The Scarisbrick Hotel can be found just 11 miles (18 kilometers) away from central Leyland. 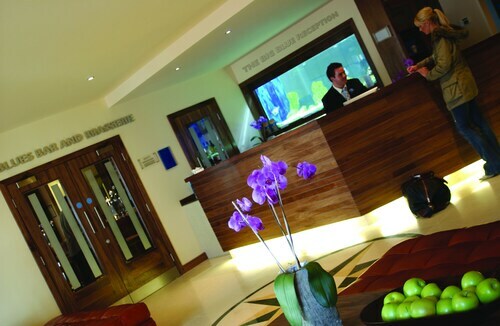 The Ramada Plaza Southport, can be found 11 miles (18 kilometers) away. 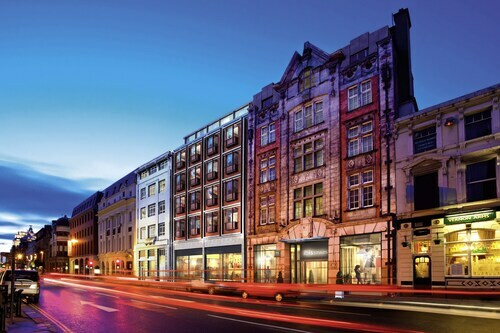 Two other hotel and apartment options in the area are the Bold Hotel and the Clifton Villa. 6 miles (9 kilometers) from Leyland, you can find Preston, where visitors can enjoy Miller Park, Hoghton Tower and Preston Golf Club. The Holiday Inn Preston and Legacy Preston International Hotel are a handful of the Travelocity-recommended hotel choices in Preston. For another option, stay in [name of second nearby city or town (sibling)], 11 miles (18 kilometers) to the northwest of Leyland, where you can choose from the Mode and Inn On The Prom Hotel. The St. Annes Pier and Fairhaven Lake are more frequented sites to check out while in [name of second nearby city or town (sibling)]. Reach Blackpool, 16 miles (25 kilometers) from Leyland. While you are exploring the region, make plans to investigate the Stanley Park, Sandcastle Waterpark and Paris Casino. 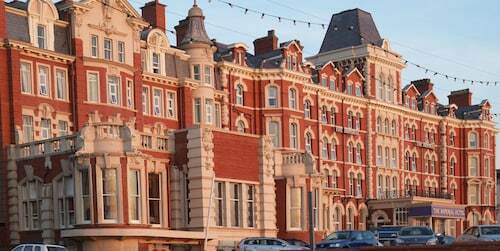 The Winter Gardens and Blackpool Tower are also worth investigating. If you're researching a holiday in Blackpool, be sure to look into the latest Travelocity options at the Aberford and Branston Lodge - Guest House. If you're traveling into or out of John Lennon Airport and need to stay nearby, look at Holiday Inn Express Liverpool -John Lennon Airport or Hampton by Hilton Liverpool John Lennon Airport. Old hotel that could really use some maintenance and remodeling. No WiFi except in lobby. Hotel location is great, though. Downtown a short walk from Lime street station and buses. 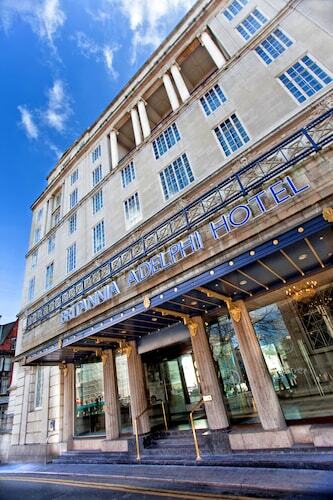 The staff was very helpful, the room was excellent and clean and the breakfast was yummy. I’ve stayed at this hotel previously and have enjoyed it both times. The staff is overly accommodating and absolutely wonderful. 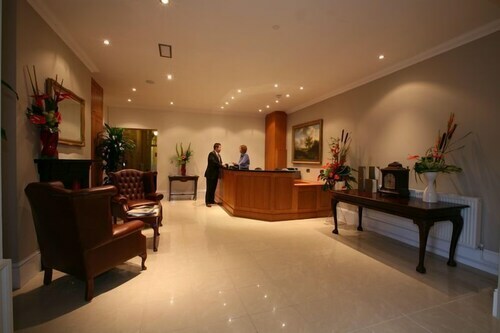 The hotel itself is clean and well decorated. And the food is delicious! I will be staying there again! My spouse and I made a quick trip to lovely Liverpool and chose this property for its location and cute Beatle theme and we were not disappointed! 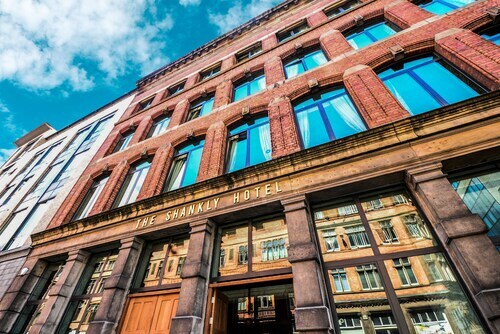 The location is perfect, around the corner from the Cavern Club and a short walk to the river and waterfront area. Places to eat and pubs everywhere.The staff is really welcoming and helpful. The décor is modern and cool. The breakfast is fantastic and it's really nice that they have coffee, tea, cocoa, croissants and little biscuits out 24 hours. Sweet little bar. The themed rooms are creatively done, but not over done. We love everything about it and will for sure be back. The room was spacious with a nice view of the sea. The supper in the hotel restaurant was outstanding.